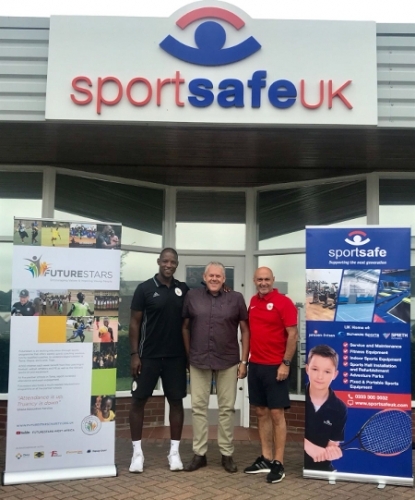 It’s just over a year since Simon Milton left Portman Road after 30 years to take to become the director of Futurestars, a corporate social responsibility education through sport project in Ghana and Togo. The former midfielder told TWTD about the latest developments. “I left Ipswich in the first week in July and started a couple of weeks later,” the 54-year-old recalled. “What we had to do then was turn the project into a charity, which if anybody has ever set up a charity is a long drawn-out process. “It has to be because obviously it has to be right, you have to show that you are a bona fide organisation and you’re going to do the right thing. “We were accepted by April 2018, having started the application around August 2017. Our trustees include our patron, Terry Butcher, the former England captain. In the year since leaving Town Milton has made regular trips to Ghana as he oversees the growing project. “I’ve probably been out four or five times,” he said. “My last visit was in July when I visited Togo as well. “We’re now working with 4,100 children every week. We’re in five schools in Tema, which is 30km from Accra the capital but it’s the main port and all our schools are in a similar area. “And then we’re in one school in Lomé, which is in Togo and where we have an academy. You cross the border and it’s a different world. Togo is years behind Ghana with what they’ve got. The school we’ve got in Lomé has got 120 pupils a class, with one teacher. You’ve never seen anything like it. “Imagine doing PE for the day, you’ve got 1,600 pupils, you just have to look at what you can do. We go in and help, we’ve got kit and we’ve got equipment and stuff like that. “In the mornings our coaches go into all the schools and work with the pre-school clubs and then work with the children right the way through the day in PE. “And in the afternoons they work at the development centres, which are based around football for boys and girls and netball for girls. The number of companies involved has increased over the year: “We had two partners, we’ve now got five. 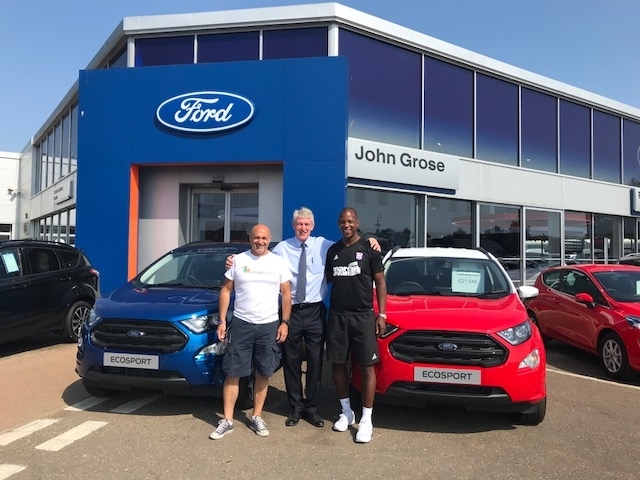 We had OMA and Yinson at the start, we’ve now got Hapag-Lloyd involved, we’ve now got a company called Fendercare involved and we’ve now got a brand new partner who joined us in July called Prime Insurance, who are a Ghanaian insurance company. “So it’s growing and we’re getting additional funding and the board of trustees and I sit down and decide the best need for that new finance. “And we have so many ideas that you just have to take a step back and decide first of all where the money’s needed most, but what impact you can make with your money. “To give you an example of that, we’ve worked with the British High Commission football team in Ghana and they had a Royal Wedding party to which they invited all the High Commissioners, all the different ambassadors from all over the world who are in Ghana and some dignitaries from the Ghanaian parliament, and they raised £2,500 for our charity on that day. “We then sat down with them asked where would you like us because you want to show where it’s going. “We’re going to buy 2,500 bags for our children. They are the most basic bag for a child to take to school every day. “These are less than a pound each, we’ll have the Futurestars logo and the British High Commission football team’s. “What we’re trying to do is show we’re different. Normally, you get 2,500 bags and in the first week in September, you go back into the school and you would give every child a bag. Just give them a bag. 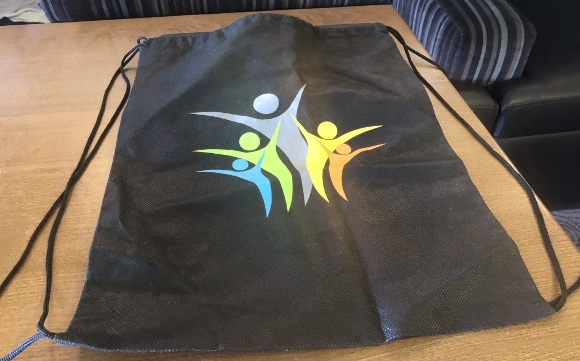 “What we’re trying to do to improve the impact and be different is to only give the bags out to a child once they’ve done 30 consecutive days at school with no unauthorised absenteeism because that is one of the biggest issues our teachers are telling us they’re facing. “When we sit down with the Ghanaian Education Service and say these are the things that we want to introduce, they love that idea because then at the end of 30 days we know who has been in every day, so school registrations are going to be bigger than they’ve ever been before because of the types of rewards that we’re going to do. “What we’re trying to do to use these things as carrots for the children to go to school more. “So they’ll now go to school more, they’ll get coached by our coaches every day for PE lessons and the registration will be better than ever and we’re going to reward them for good attendance and good behaviour. “People like that, and my partners like that because it’s easy just to say, ‘Here you go’ and hand everything out. 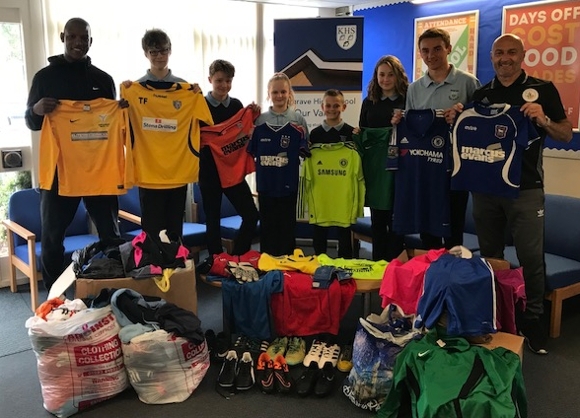 During the summer Milton staged a football kit amnesty in Suffolk working with local companies and schools with Total Football Ipswich, Sportsmed East, John Grose, Pro Kit, the Town Academy, Inspire Suffolk, Copleston School, Framlingham College, Hudson Group, Kesgrave High School, Felixstowe Academy, the Suffolk FA, Sportsafe, Niels Larsen, Nissen and Eveque among those involved. “We’ve got a container going out,” he added. “We’ve been collecting kit from all over Suffolk and from organisations. “We’ve got companies donating, schools donating. Copleston High School in Ipswich have been brilliant, I went to do some assemblies there. They’ve been donating, they’ve got so much kit that we’re going to take to our container. 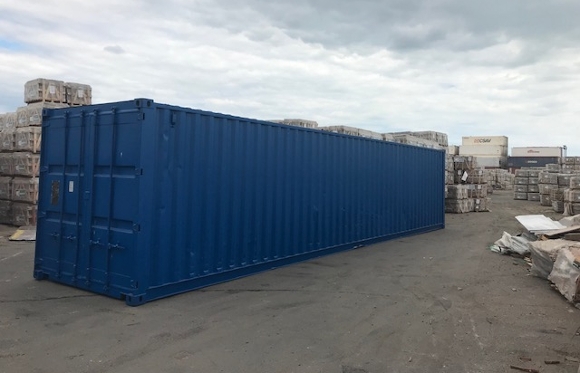 “We’ve got local companies who have been supporting with the transportation, donating the container, Seven Telematics, EUF Ltd, Coastal Global, SEA Transport Ltd and Maze Solutions. “The container at the moment is in Felixstowe and will probably be shipped by the end of August, first week in September and then arrive a month later into Tema. 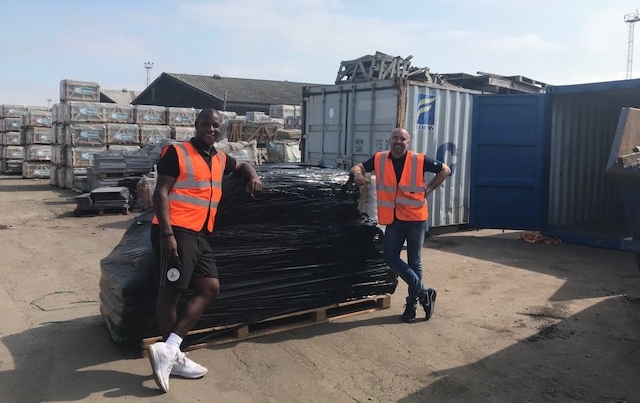 “And when the container turns up, it’s a 40-foot container full of kit and we’ll then invite all of our partners and all of our staff and all the British High Commission football team to come and help us. 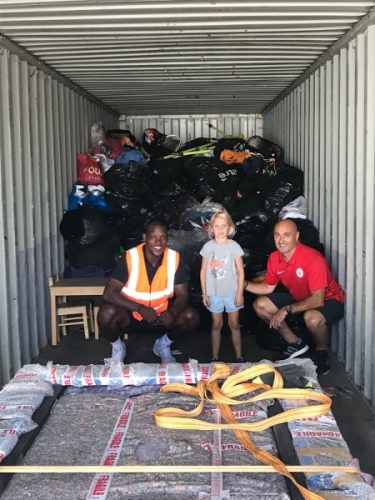 “First of all we’ll empty it, then someone will go in and shelve it and then we’ll look at every full kit with shirts and shorts and balls and bibs and cones and just log it all so we know what we’ve got and the additional stuff will just be donated to our schools and school children. “That is again unbelievable support from the UK just by saying what we want are things you don’t want any more, last year’s boots, last year’s tennis racquet. “I’ve got 250 yoga mats. I’m not saying we’re going to introduce yoga to our 13 and 14-year-old children, but when they sit in assembly they sit on a concrete floor. “We can have all these mats in the corner for them. Little things. Anything that we send out there will be used again. “Titus had a pool table in his garage and in Togo we have a clubhouse and the kids are there all the time. They’re in there preparing for games, after games, but it’s become a social venue that they all use. “Having a pool table will just be amazing. That’s where that will be going once it gets over there. “There are loads of things that we’re trying to do to help and all of this stuff is donated and local companies are helping us get it out there. Milton says there are similarities with the job he left at Portman Road, his role as director of academy sales. “All of the companies who are based in and around Tema, the port, in the oil industry all want to put something back into the area, support their community,” he said. “And we’re finding they’re enjoying what we’re doing and coming on and joining ours and then when we have our big festivals all the staff will be there or when we’ve got a big refurbishment or we’ve got a clearing day or a painting day, they just come and join in. Milton says next on the agenda is to bring another school under the Futurestars umbrella: “We’re also looking at a new school in Accra. All our schools are state schools, they all get minimum funding, they get government meals, they get school uniforms and they’re all at the same level. “But the school we went to in Accra on our last visit is about five levels below. The school is made of wood, there is no uniform, they’ve got children between four and 23. “And their classrooms are almost like barriered off. We really like this school and we can really help this school and in the future we will be looking for gap-year students to volunteer for our projects. “The gap-year students will spend a lot of time working with that school because we’ll link with another charity who do that all the time, they’ve got the accommodation, the transport and everything. “We’ll link with them and do some real good because when we visited this school it was just amazing, a massive eye-opener. No uniforms, no facilities. They’ve got the footings of a school to be built in the future. “But the charity that we’re working with built the school for $2,000. That is something that we definitely want to help with. “One way is to use our volunteers and the money they’ve raised to go towards our school. You’re branching out without going crazy. “We went to a specialist autistic school, we took a teacher from Framlingham College, Geri Clarke, she was unbelievable and when she goes back she wants to go and do some work with the teachers at the school for autistic children because she’s got a lot of information on that and she can specialise on that. “So we could support another school, a special school. But not with funding, just with expertise and help. Every time you get introduced to so many different things and you want to be able to spread yourself wide. You can read more about Futurestars on their website. What wonderful uplifting article(s) from Milts & Titus. So very refreshing & inspiring to hear about such a Project. Football can be so inclusive, powerful & helpful when administered by caring people. (I appreciate I am a dreamer, but In an ideal world, some PL money would also be ploughed into these charitable schemes rather than going to the obscenely rich Prem players wages!). Please could TWTD continue to give regular (half-yearly?) updates on both the Ghana & Togo schemes. 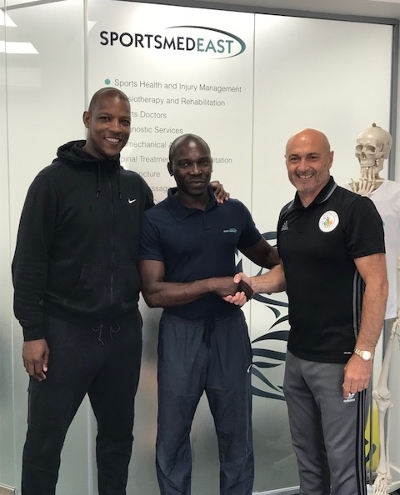 A huge well done to Milts & Titus & the whole team of Coaches & supporting staff ! Please keep up this great work. Fantastic project. Perhaps Simon can send us a couple of promising players. Some clubs farm the African market for talent (Mitjylland in Denmark, for example) and provide opportunities for those players to earn a living as professionals. OK, it's not wholly magnanimous; the clubs see a profit in it, but I imagine the players are pretty happy too. I wouldn't mind if we added a bit of African speed and unpredictability to the ITFC DNA. Well done you Guys - keep up the good work. Absolute credit to you all. Keep us posted, such projects are the essence of progress, and can be so rewarding, not necessarily in monetary terms. This is fantastic stuff. Just reading it, you can feel Simon Milton's enthusiasm. Brilliant! Great to read about Titus and Milts . Nice to see whats going on and i am well impressed ,Keep the good work up guys . Awesome work everyone. Inspiring stuff.